Solid-organ transplant recipients have a higher risk of developing a space-occupying lesion (SOL) in the brain. SOL can be caused by infective processes, such as tuberculosis, fungal infections, or malignancies (brain tumor or posttransplant lymphoproliferative disorders). Transplant patients have 20 to 74 times risk of tuberculosis when compared to the general population. We present a case of symptomatic SOL of the brain; magnetic resonance imaging (MRI) showed features suggestive of tuberculoma, but brain biopsy confirmed diffuse large B-cell lymphoma. A 61-year-old male, who is known to have hypertension for 25 years, was diagnosed to have end-stage renal disease and was started on maintenance hemodialysis in June 2015. He underwent a deceased donor kidney transplantation after 1 year. Antithymocyte globulin (total dose: 3 mg/kg) was used for induction and was started on triple-drug immunosuppression (Tacrolimus – 0.1 mg/kg, Mycophenolate mofetil – 1 g twice daily, and Prednisolone – 0.5 mg/kg). He was discharged with a nadir serum creatinine of 1.35 mg%. Prednisolone was tapered to 7.5 mg/day by 3-month posttransplant; Tacrolimus levels were kept between 3 and 6 ng/ml after 3 months. Four months after the transplant, he developed a urinary tract infection ( Escherichia More Details coli) and new-onset diabetes. He presented 7 months after transplant with a tender swelling in the left inguinal region. Biopsy showed an abscess wall with granulation tissue and large granulomas composed of epithelioid cells; Ziehl–Neelsen stain showed acid–fast bacilli. He was started on antituberculous therapy (Isoniazid, Ethambutol, Pyrazinamide, and Levofloxacin). Mycophenolate was reduced to 500 mg twice daily. Ten months after transplant, he presented with a history of weakness of the left upper and lower limbs and a focal seizure involving the left side of the body. He had grade 2/5 power in the left lower limb and grade 4/5 in the left upper limb. Computed tomography (CT) brain revealed hypodense lesions in the right high frontal region, left temporoparietal region, right parietal region, and left cerebellar hemisphere. MRI spectroscopy was obtained [Figure 1]a from the larger lesion in the right parietal parasagittal area, which showed generalized reduction of choline, creatine, and N-acetylaspartate (NAA). There was a distinct lipid lactate peak from the lesion (1.3 ppm). The increased lipid lactate peak is reported to be strongly suggestive of tuberculoma. His ESR was 65 mm/h. Rifampicin was added; Levofloxacin was changed to Moxifloxacin as it is comparatively less seizurogenic and dose of Prednisolone was increased. Isoniazid, Ethambutol, and Pyrazinamide were continued. His graft functions remained stable (serum creatinine: 1.27 mg%). His motor weakness improved after 7 days and was discharged. His symptoms improved slowly over the next 15 days. Blood Tacrolimus level was 1.14ng/ml; however, the dose was not increased in view of repeated infections. Eleven months after the transplant, he presented with gait ataxia, slurring of speech, and headache. A repeat MRI brain was done which showed that the older lesion in the right parietal area had reduced in size, but another lesion was noted in the left parietooccipital region and left cerebellar lesion had increased. It was associated with the moderate degree of surrounding edema too. MR spectroscopy (MRS) obtained from the cerebellar lesion showed a reduction in choline, creatine, and NAA with distinct lipid lactate peak (1.3 ppm) [Figure 1]b. This MRS pattern was suggestive of an infective process. Decompressive craniotomy and excision of cerebellar lesion were done. Biopsy showed extensive necrotic tissue with focal viable tissue of the cerebellar cortex with prominent angiocentric and angiodestructive pattern of infiltrating polymorphous population of lymphocytes, histiocytes, immunoblasts, plasma cells, and large atypical lymphoid cells with high nuclear–cytoplasmic ratio, vesicular chromatin, and prominent nucleolus. The morphology was consistent with posttransplant polymorphic type lymphoproliferative disorder [Figure 2]. 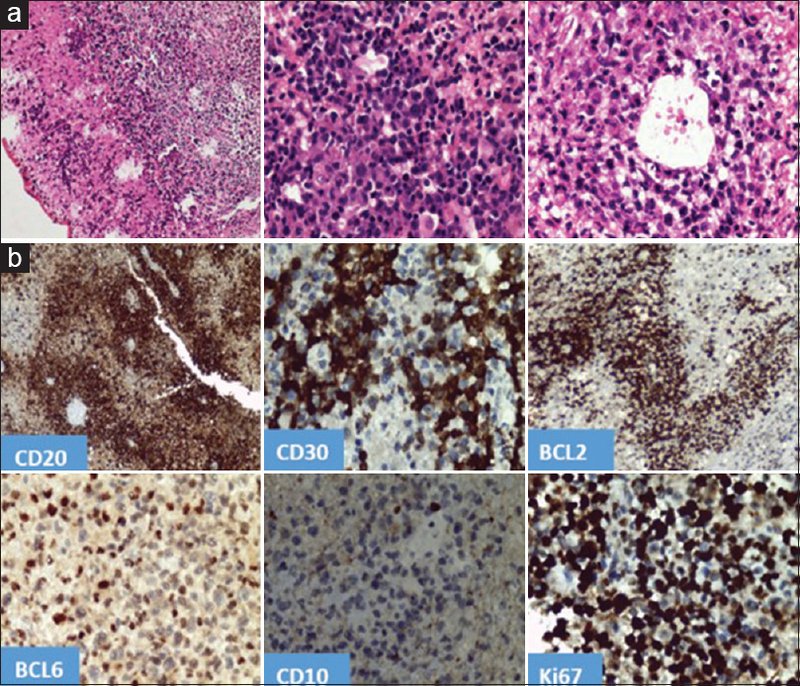 The immunohistochemistry showed large cells with expression of CD20, CD79a, BCL2, BCL6, C-myc, and negative for CD10 [Figure 2]. Scattered large cells showed CD30. The background showed admixture of CD3-positive T-cells, CD68-positive histiocytes, and CD138-positive plasma cells. Ki67 proliferation index was 70% [Figure 2]. The overall morphologic and immunohistochemical features confirmed the diagnosis of posttransplant lymphoproliferative disorder of non-Hodgkin's Lymphoma and diffuse large B-cell type. The in situ hybridization test for Epstein–Barr encoding region was positive, indicating Epstein–Barr virus-associated lymphoma. The biopsy did not show epithelioid granuloma, fungal elements or parasites, and special stains for acid–fast bacilli, bacteria, and fungal elements were negative. The TB panel (ZN stain, GeneXpert, and AFB culture after 6 weeks) was negative and a fungal culture was also negative. Whole-body positron-emission tomography/CT (PET/CT) was done which confirmed isolated central nervous system involvement. His immunosuppressive medications were altered; Tacrolimus was reduced by 50%, Everolimus was added, and Mycophenolate was stopped. 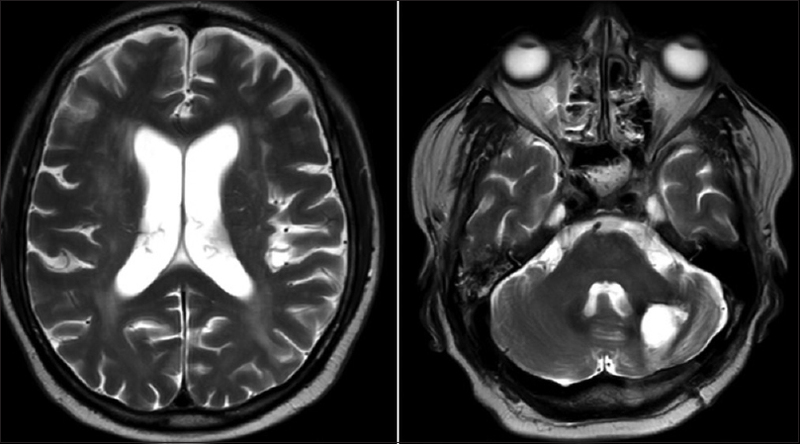 He received whole-brain radiotherapy (2 fields of 6 mV Photons; fractions: 25; dose: 45 gray) for posttransplantation lymphoproliferative disorder central nervous system (CNS)-PTLD and his focal neurological deficits resolved; repeat MRI brain after 6 months showed a reduction in size of brain lesions [Figure 3]. His serum creatinine at present is 1.35 mg%. Newer immunosuppressive medications have improved the graft survival rates but have increased the risk of malignancies and opportunistic infections. Tuberculosis in transplant recipients is usually due to reactivation of dormant disease; apart from the classical risk factors, rarely transmission from donor can also occur. PTLD has an incidence of 1% to 4% in the 1st year after transplant, quite rare in comparison to tuberculosis (10% to 15%). This patient had extrapulmonary tuberculosis (lymphadenitis) and he presented with a focal seizure and left-sided weakness. It is well known that tuberculosis can manifest as a new-onset seizure or focal neurological deficit due to tuberculoma. CT brain revealed parietal lesions and MRI spectroscopy was suggestive of an infectious etiology. There are a few reports that tuberculoma can be reliably diagnosed with the help of MRI spectroscopy. Another study also recommends that MRI spectroscopy with findings similar to ours is most likely to be tuberculosis and it can be confidently differentiated from malignancy. MRI spectroscopy findings in lymphoma are reversed choline/creatine ratio, markedly decreased NAA and lipid lactate peak is not usually seen. We treated it as tuberculosis by intensifying antitubercular regimen and the patient responded clinically. The patient presented back a month later with ataxia, and an MRI spectroscopy was repeated, which still suggested an infective etiology, likely to be tuberculoma; however, histology confirmed it to be CNS-PTLD. PTLD has varied ways of presentation. There is a higher risk with higher immunosuppression and younger recipients. In our case, the risk factors included the use of antithymocyte globulin and Tacrolimus (highest trough level of 8.3 ng/ml in the first 3 months). Among all the cases of PTLD diagnosed, CNS-PTLD is about 15%. PTLD is associated with Epstein–Barr virus in about 90%, PTLD affecting brain has better prognosis when compared to other sites. In this case, the resolution of right parietal lesion after intensification of antitubercular therapy with Rifampicin along with MRI spectroscopy findings suggests it was a tuberculoma. The other lesions are CNS-PTLD which was proved histologically and have responded to whole brain radiotherapy. This case highlights the importance of early tissue diagnosis in a solid-organ transplant recipient, for appropriate diagnosis and early intervention. A lower threshold for biopsy in a solid-organ transplant recipient would yield good results. This is probably the first case reported, to our knowledge, with coexisting brain tuberculoma and CNS-PTLD. Lopez de Castilla D, Schluger NW. Tuberculosis following solid organ transplantation. Transpl Infect Dis 2010;12:106-12. Santy K, Nan P, Chantana Y, Laurent D, Nadal D, Richner B, et al. The diagnosis of brain tuberculoma by (1)H-magnetic resonance spectroscopy. Eur J Pediatr 2011;170:379-87. Marcén R. Immunosuppressive drugs in kidney transplantation: Impact on patient survival, and incidence of cardiovascular disease, malignancy and infection. Drugs 2009;69:2227-43. Nelson CA, Zunt JR. Tuberculosis of the central nervous system in immunocompromised patients: HIV infection and solid organ transplant recipients. Clin Infect Dis 2011;53:915-26. Asch WS, Bia MJ. Oncologic issues and kidney transplantation: A review of frequency, mortality, and screening. Adv Chronic Kidney Dis 2014;21:106-13. John GT. Infections after renal transplantation in India. Transplant Rev 1999;13:183-91. Salway RJ, Sangani S, Parekh S, Bhatt S. Tuberculoma-induced seizures. West J Emerg Med 2015;16:625-8. Sankhe S, Baheti A, Ihare A, Mathur S, Dabhade P, Sarode A, et al. 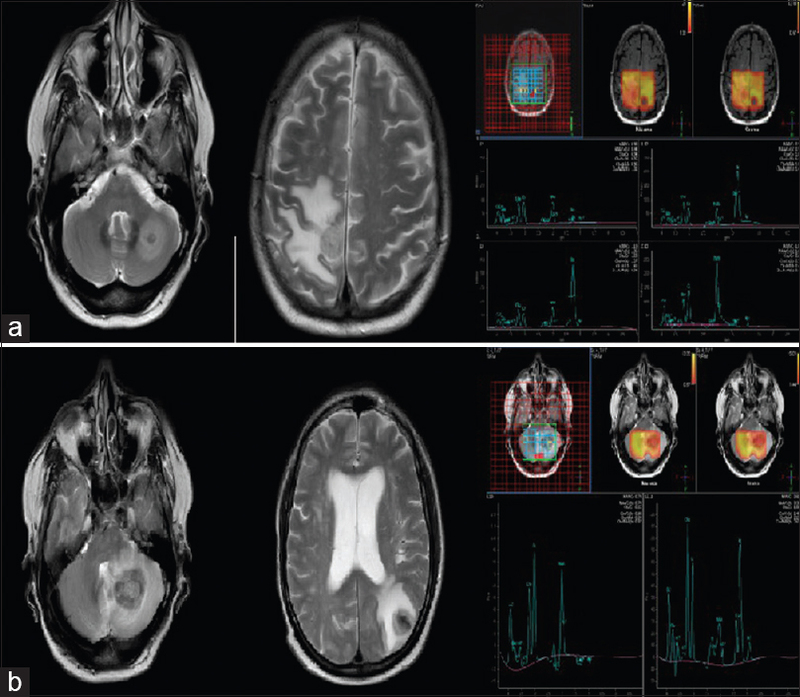 Perfusion magnetic resonance imaging characteristics of intracerebral tuberculomas and its role in differentiating tuberculomas from metastases. Acta Radiol 2013;54:307-12. Mour G, Wu C. Neurologic complications after kidney transplantation. Semin Nephrol 2015;35:323-34. Sundin A, Grzywacz BJ, Yohe S, Linden MA, Courville EL. B-cell posttransplant lymphoproliferative disorder isolated to the central nervous system is Epstein–Barr virus positive and lacks p53 and myc expression by immunohistochemistry. Hum Pathol 2017;61:140-7.